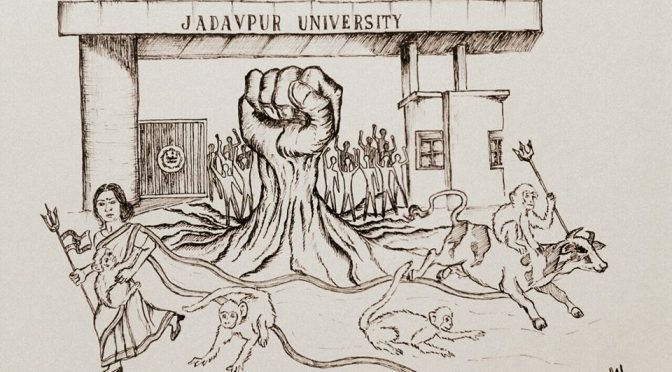 While the mainstream corporate media has blackened out any serious coverage around the suspension and hounding of JNU students, the struggle of the students against the Modi government’s and its proxy, the university administration continues. 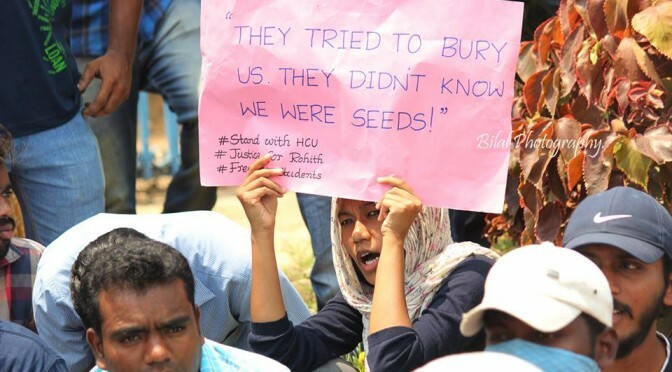 Some of the JNU (Jawaharlal Nehru University) students have been on a hunger strike since April 27th, the day after the JNU administration issued out “punishments” to 17 students who were involved in the Febraury 9th event. 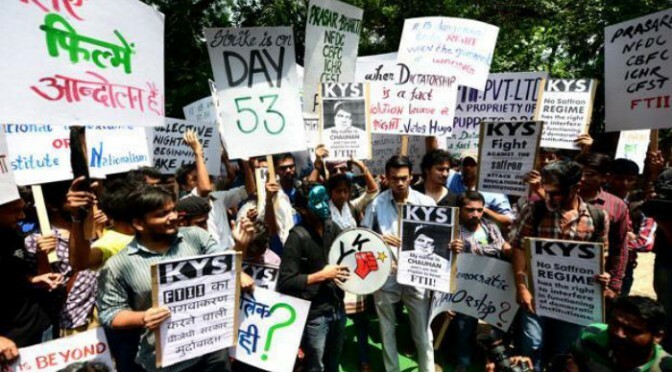 While most students, including JNUSU president Kanhaiya Kumar, were awarded penalties and fines, Umar Khalid, Anirban Bhattacharya and Kashmiri student Mujeeb Gatoo have been suspended and banned from campus. In particular, Anirban has been rusticated for five years just as he nears the end of his PhD. 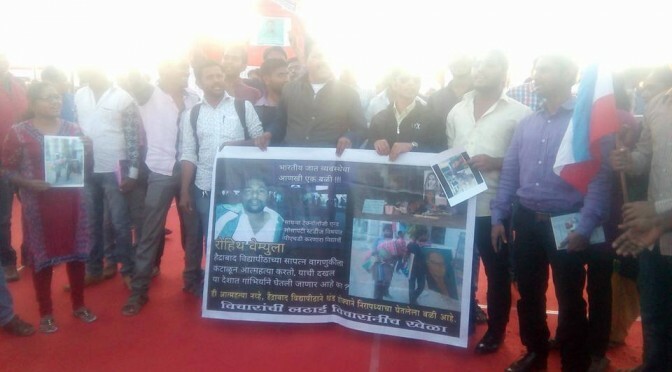 Justice for Rohith Vemula: The Struggle Continues…. The following article is written by a student of Hyderabad Central University and member of New Socialist Alternative (CWI-India). It documents the experiences of the students in the past few days and their determination to fight against the administration against all odds. Certainly the return of Appa Rao marks a new low for the HRD ministry and the Central govt who have not uttered anything of significance on the whole incident. But one thing is clear, they want to crush this budding student/ youth movement that has grown rapidly into a significant force ever since Rohith Vemula’s institutional murder by suicide. Are Humans Selfish by Nature? Today, we often hear that humans have become selfish and it is painted as if this is an intrinsic value. Those who propagate such a view do not hesitate to summon even Darwin to their service quoting his “Survival of the fittest” in the context of the theory of evolution. Is this all really true?